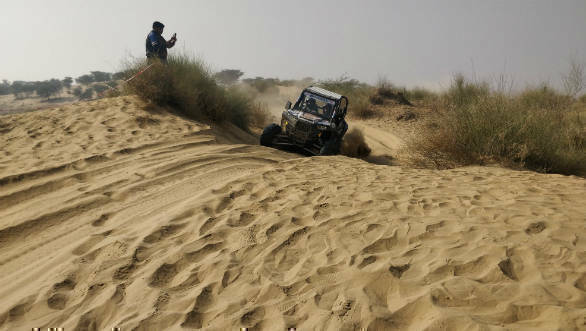 The 2019 Ultimate Desert Challenge saw intense off-roading action across three days in the sandy expanse of the Thar desert around Bikaner. 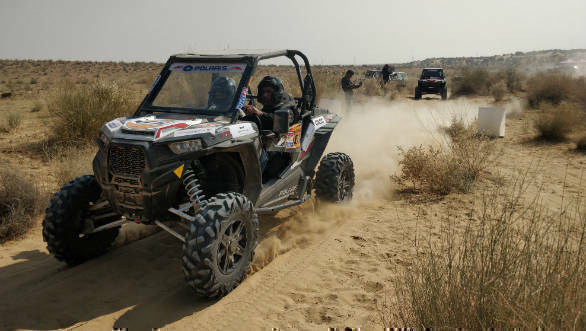 In the UDC Off-road competition, the team of Kabir Waraich and co-driver Amber Udasi, in a Polaris RZR 1000, dominated proceedings. The Gerrari Off-roaders duo from Chandigarh scored 1,090 points out of 1,100, an almost perfect score. Over 11 stages, the teams battled tricky sandy terrain and steep elevation changes. Waraich now has three wins out of four appearances in this competition. Following very closely in second place with 1,050 points was another Gerrari Off-roaders driver and RFC veteran, Gurmeet Virdi. He, along with co-driver Kunal Kashyap, participated in a Polaris RZR 1000 for the first time. Gagandeep Gill (co-driver Amardeep Godara) finished in third place with 894 points. Dr. Ritika Oberoi from Pune with co-driver Sagar Mallappa was the fastest woman at UDC Off-road with 558 points. In the unique UDC X-Cross event being run for the first time, only six of 12 starters finished. Competitors traversed almost 200km in eight laps of 21km each across sandy gravel trails near Mehrasar village. Gurugram's Gaurav Chiripal and Karan Arya won this with a cumulative time of 2h 43m 8s. 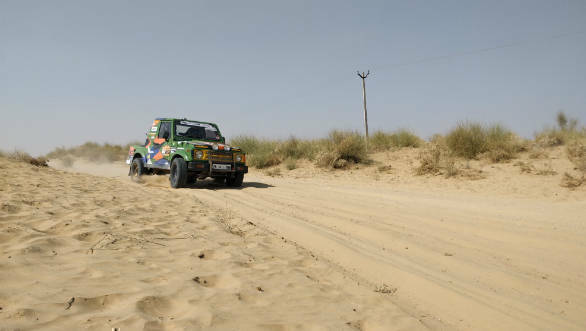 In a Mahindra Thar, Bikaner's Devendra Singh Rathore (co-driver Vinay Bhatnagar) took second place with a 3h 1m 36s time. Gurugram's Vikas Tanwar (co-driver Rajit Kadian) took 3h 48m 8s in a Maruti Suzuki Gypsy to finish third. The X-Cross event had a 1.2km control zone between the end and start of each new lap. Teams had five minutes to cross this with their timings being verified here. They could also service and refuel their cars in this zone but undercutting the five minutes resulted in penalties. On his win, Kabir Wairaich said, "It's a feeling that's difficult to explain in words! It's a hat-trick of wins at the UDC and I couldn't have been happier. This particular win did not come easy, the competition was very tight and scheduling was such that we were continuously running back-to-stages. I was feeling sleep-deprived at times but somehow I kept pushing myself and good results followed. I would like to thank my co-driver Amber without who this win wouldn't have been possible."